In 2005, Dom Flemons’s life changed when he and his musical collaborators attended the Black Banjo Gathering in Boone, NC and forged the vision that produced the landmark band The Carolina Chocolate Drops. For the past three years, Flemons, now a former CCD, has had his world rocked by a different gathering – the Cowboy Poetry Gathering in Elko, NV. 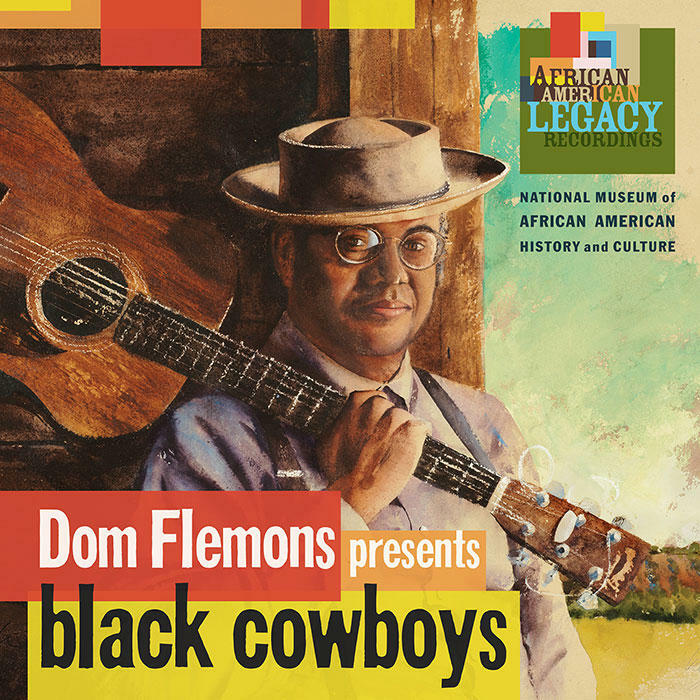 It was all part of the research behind Dom Flemons presents Black Cowboys, a musical and scholarly work released this spring by Smithsonian Folkways Recordings in partnership with the National Museum of African American History and Culture. In its 18 tracks are old songs collected by folklorists from the 19th and 20th centuries and Flemons originals telling stories that he discovered over a decade of interest and research, such as that of Bass Reeves.